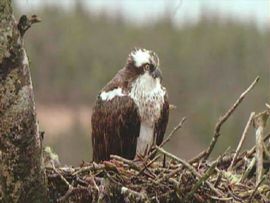 The Forestry Commission Tweed Valley Osprey Blogspot quotes:- There are a few teething problems with technical equipment at the moment and the technicians have been working over the bank holiday weekend to solve the camera issues. This is great news and we will be keeping a sharp look out to see how many eggs that she has. Looks like it could be an exciting season and well worth a visit. We have two Osprey Watch Centres in Tweed Valley, we look forward to welcoming you along. This entry was posted in Uncategorized and tagged FishTweed, Ospey, River Tweed, Tweed, Tweed Valley. Bookmark the permalink.